Happy Memorial Day to all! 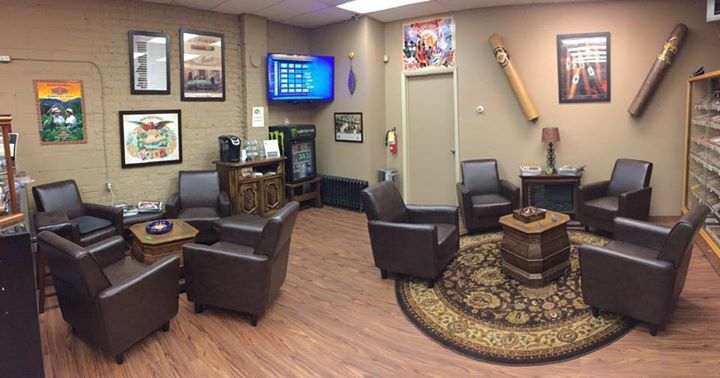 We are open until 5 today...stop by and grab your favorite cigars! Small business Saturday! Don’t forget to stop by and pick up some cigars for the weekend! Just arrived at Fairfield Cigars! Montecristo Grupo De Maestros Private Batch III. Box #51 out of 300 Worldwide. Get them while they last! We are open on Sundays! Stop by and grab a cigar to enjoy in this beautiful weather! We made it into the Tobacconist! The official publication of the IPCPR! The Holidays are in at Fairfield Cigars! Stop by and choose from our wide variety of holiday gift sets. Cigars are a perfect gift/stocking stuffer for anybody. Happy Holidays from Fairfield Cigars! Padron 50 years is now available at Fairfield Cigars! These cigars are not around often!! Stop by our lounge today! Representing Fairfield Cigars at the IPCPR Cigar Convention in Las Vegas! 22 results, Page 1 of 3 pages.